There are a few books about Bitcoin and as I can say every single one of them is worth reading. But there are just a few books which focus on people who use Bitcoin in their daily life. You have to search in online message boards and internet forums if you want to read about their success stories. One of them might be your workmate, friend or neighbor. It is unfortunate that these stories are not well-known because they are truly inspiring. They show what is possible when we use Bitcoin and the many ways to increase your capital. The search for stories of Bitcoin users showed me many and perse people experiences. Some of them were real while some of them were fabricated but every single story brought the realization that we are on the first steps with Bitcoin. There are just so many possibilities and many of them were new and exciting ideas. The last months I spent researching for this book were really awesome. I learned a lot about crypto-currencies, its possible applications and above anything else great stories about people. Therefore I want to thank everyone who has shared their very own personal success stories. It was such a wonderful time conversing in chat rooms, making conference calls and sometimes meeting in person. I was excited about every single story and the results from using Bitcoin. 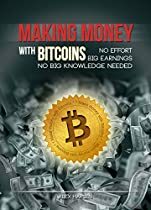 In this book you can read great success stories from real people and you can have an idea of all the things that are really possible if you integrate Bitcoin in your life or in your business. Of course there are stories from accidental success too but there are also people who gave this new way of payment a chance and believed in the community. The people who used Bitcoin as a form of payment or invest in it are my heroes because they help to push Bitcoin forward as a real alternative to established forms of payment. Also I want to say thanks to all my friends who helped me to find those peoples and stories. Without your passion this book will never be written!